Any type of accident can be a life-changing experience. In the worst cases, a loved one is tragically killed because someone else was irresponsible. Many surviving victims suffer life-long injuries that change their ability to perform common tasks, earn a living, and enjoy their families. Even when injuries heal, many people say they are never quite the same. At McGowan, Hood & Felder, LLC, we hold businesses and individuals accountable for these injuries. For many years, our Columbia personal injury lawyers have counseled and advocated for injured victims and their families. We are dedicated to protecting the rights of injured clients in Columbia and throughout nearby locations in South Carolina. Auto, truck, and motorcycle accidents. Our lawyers handle the full range of vehicle accidents, from single-car collisions to multi-car pile-ups. We represent clients injured when vehicles collide head-on, broadside each other, or rollover. In some cases, we bring claims against government agencies when roads are unsafe. Nursing home abuse. We help elder citizens who suffer physical, emotional, sexual, or financial abuse bring claims against nursing homes who failed to protect their residents. Medical malpractice. We hold hospitals, doctors, nurses, and medical staff accountable when they do not meet the proper standard of care for their patients. Dangerous drugs. Companies that manufacture and sell defective drugs can be sued when their drugs are faulty, poorly made, or the instructions are improper. Medical providers who prescribe the wrong drugs can also be held accountable. Construction accidents. Workers and passersby at construction sites have the right to expect that the companies who run the projects will provide for the safety of everyone involved. We bring personal injury and workers’ compensation lawsuits when applicable. Premises liability. Businesses and homeowners have a duty to keep their property safe for customers and people who have the right to be on their property. Whether you fall on a slippery surface, fall due to bad lighting, suffer a dog bite, or get hurt for any reason, our law firm is ready to fight for you. Workers’ compensation. 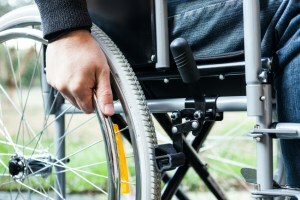 Employees who are injured on the job or become ill due to work conditions have rights. They can demand a percentage of lost wages be paid while they cannot work and that all of their reasonable medical bills be covered. In some cases, they may be entitled to vocational rehabilitation. Product liability. Manufacturers and sellers of products are required to make sure their products are designed properly, made safely, and that the instructions work for the product they made or sold. If you or a loved one has suffered any type of injury, turn to our Columbia personal injury lawyers to learn your options. The type of damages we seek can vary depending on the severity of the injury. In wrongful death cases, we demand payment for funeral expenses, the loss of income from a deceased family member, and the value of the loss of society of emotional support the deceased would have given family members. Lost income. This includes lost wages during the time a client couldn’t work and the inability to earn the same or any income due to the injuries suffered. Medical expenses. Victims have a right to ask for reimbursement and payment of all necessary hospital stays, doctor visits, medical equipment, and prescriptions. Pain and suffering. This is the value of the daily accumulation of the pain that come with the injuries. It also includes the worry about getting better and the anxieties about health, income, and family. Disfigurement and scarring. Victims who lose a limb, suffer facial or body scars, or other suffer unsightly harm deserve to be paid for this change in their life. Property damage. Victims normally can also claim compensation for any property, such as a car or glasses that were destroyed in the accident. Our attorneys advocate for our clients to get the maximum possible compensation after an accident. The Columbia personal injury lawyers at McGowan, Hood & Felder, LLC, have the experience, skill, and resources that clients demand. Our broad experience in handling many kinds of accident cases helps us anticipate the arguments and strategies defense lawyers and insurance companies use. To schedule a free consultation at our Columbia office, please call us at 888-302-7546 or complete our contact form.